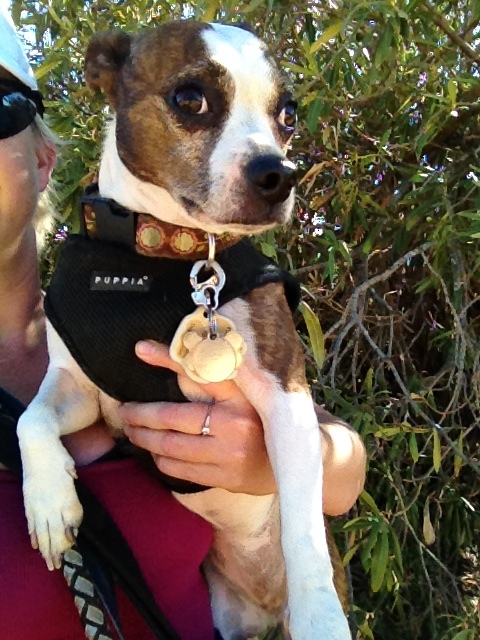 Charlie is a 5-year-old Boston Terrier and Russel Terrier mix. She is an anxious little girl and is currently sitting on my lap shaking because Riggins and Nijo (golden retriever) are barking at something outside the front door. 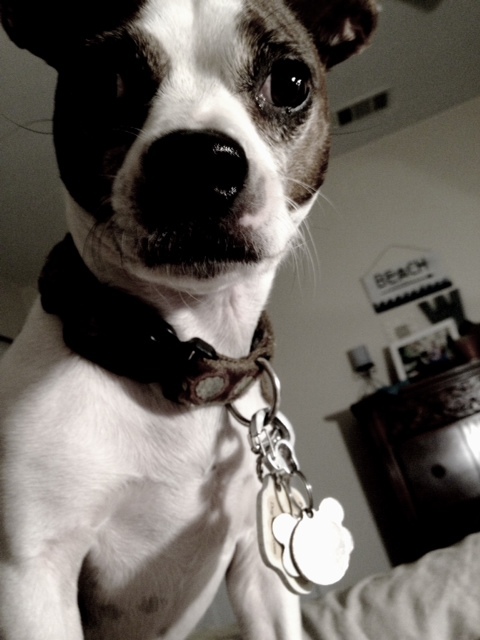 Even without the barking Charlie would be on my lap or somewhere near me. That’s just who she is. Unlike Shadow Charlie has two nighttime positions. The first, which she uses approximately 50% of the time is just down. As in stop where you are and lie down. It is going to be on or next to me but there isn’t much preference where. For the other 1/2 of the night her position is standing on my chest, stomach, or bladder. Once there she would either aggressively try to french kiss me or growl so I will throw a tennis ball. I swear a couple of times last night she growled herself to sleep. At first the vocalisation was extreme and meaningful. Then it got softer. When she could barely take it any more the growls only came with her breathing. Almost snore like. Finally she was down and out. That is until she got back up to play ball again! For the mouth to mouth the later into the night it got, the more my night breath seemed to attract her. You can’t sleep while a dog tongue is abusing your mouth. Last night was Charlie’s first. I’m hoping she has settled in a bit more so tonight will be more sleeping and less accosting of me.